As all experienced participants from both sides of the isle know, the foreign exchange trading industry is not a simple buy and sell business. 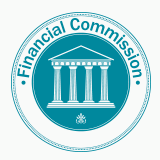 The Financial Commission’s Client Dispute Resolution Mechanism was established to provide an independent intermediary which can skillfully and quickly address potential disputes between Forex brokerages and their clients. 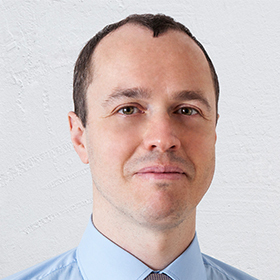 Dozens of FX industry professionals are responsible with the task of providing a dispute resolution for clients complaining about their brokerages. The Financial Commission has recently issued a report on its activity for the first half of 2014, outlining the most important events of its development and some details surrounding customer claims filed with the Commission. For the first six months of 2014, the organization received a total of 34 complaints, for various amounts ranging between $24 and $26,000. Forex related complaints totaled 29, plus the remaining 5 which pertained to clients of the binary options trading services. There was a variety of issues raised in the complaints, with 13 related to payments, 12 to trading and 4 alleging to some sort of fraudulent activity. The number of cases filed against the members of the Financial Commission – AForex, Alpari, FXOpen, FXFair, Lionstone Investment and RoboForex totaled 16, while the remaining 18 were filed against non-member brokerages. Using the Commission’s Dispute Resolution Process, 20 complaints were resolved successfully, with 13 going in favor of the brokers and 7 in favor of clients. At the time of writing 2 cases remain under investigation, while due to insufficient data, the remaining 12 cases have not been resolved. Recently, we have seen a number of developments surrounding the Financial Commission. In July, it announced that it will begin publishing random customer claims detailing its resolution process. For companies which provide binary options software, the organization has added a process of certifying platform technology, the first company to receive a seal of approval being BinaryStation.